The Professional's Choice SMx Comfort-Fit Dressage Girth is designed with the overall well-being of the horse in mind. This girth puts soft, non-chaffing shearling next to the skin. The wicking properties of shearling accelerate moisture exchange providing added comfort, while elastic straps allow the horse to breath naturally. Premium materials such as stainless steel buckles and heavy-weight webbing, along with double stitching, ensure the long life of the girth. Professional's Choice SMx Comfort-Fit Dressage Girth-Shearling is rated 4.0 out of 5 by 11. Rated 3 out of 5 by BordoHorse from Durable but too bulky for a smaller horse This girth is so well made. The detachable fleece is easy to remove and wash and looks brand new afterward. Mine is a 24" and has about two inches of elastic on the ends but it only stretches a little so when you tighten it stays pretty snug. The seams are solid and mine looks new after two years. Unfortunately, the sheepskin does matt down easily when it gets sweaty, so you will have to wash it. The biggest drawback is that it is bulky enough that it rubs on my horses elbows when she moves, and although it has sheepskin on the part that touches her belly, it does not really pad the sharp edges of the nylon that run lengthwise and hold the buckles on the ends. I have noticed the nylon webbing is stiff, sharp and uncomfortable when I run my fingers along the part that touches her elbows. I wouldn't a want that on me while I was trying to run. Ouch. Perhaps if it was contoured and padded on the edges with something like squishy rubber. My saddle also slips around quite a bit, even though I had it custom molded to my horse and have tried a few different pads. I am beginning to suspect the bulky girth. I really wanted this product to work because Prof Choice makes great tack that they stand behind. This product just needs a little more thinking through on the design end, especially for the price. Rated 1 out of 5 by Laurie from Very wide I purchased this for my Arab based on being told the band was only 3 inches wide & the sheep skin made it a total of 5 inches wide. The gauge on my Arab is small and most dressage girths are made for bigger horses like the warm bloods. I had tried the Prestige anatomic shaped girth but that rubbed due to his narrow gauge. I also tried a number of other girths which all resulted in rubbing. This girth's band is definitely wider than 3 inches - excluding the sheepskin. The visual part of the band IS 3 inches BUT part of the band is covered by the sheepskin which makes it more like 4 1/2 inches wide. This also caused rubbing. 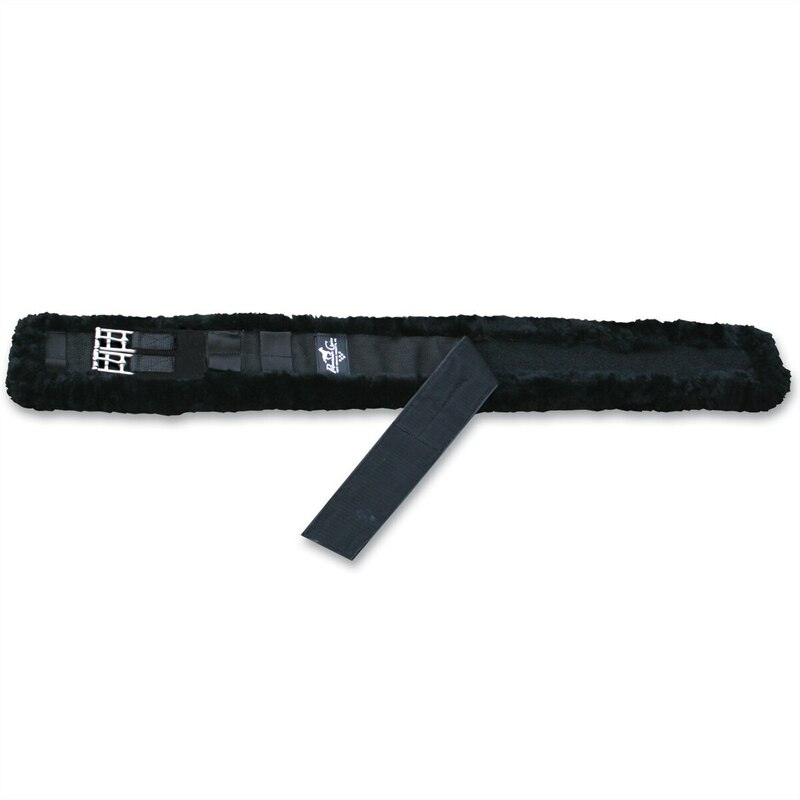 I ended up purchasing a gel based Stubben girth which I covered with sheepskin. I immediately saw a difference in my horse. Rated 5 out of 5 by nlcmonte from Love this girth! I have a sensitive girthy mare and have tried many different types of girths in the past, some of which caused sores. I purchased this one about a month ago and I am happy to have finally found one she likes and is comfortable in. Quality is great and I love that it is easy to clean! Rated 5 out of 5 by Coolsmom from Very nice girth! Bought this when it was on sale. Good buy for the quality. My horse likes the sheepskin. Detaches so it is easy to launder. Generous amount of sheepskin after the buckle. Thought it might be too much. Worked out fine. My only dislike on PC equipment are the large logos. On the girth I color in the white. Just sayin! Rated 4 out of 5 by Gloria from Dressage girth I like this as it is easy to use and the padding comes off so you can wash it. Rated 5 out of 5 by kkir44 from Nice, Soft girth This girth is great. Seems very well made and soft. The way that it's put together does make it so that it's a little longer than the purchased size, so go down a size at least. My horse normally wears a 44" and the 22" is almost too big. Rated 5 out of 5 by Dukester from Well made! I purchased this girth for my gelding who has the tendency to occasionally develop girth sores when ridden with his leather girth. The sores are now healing, and he seems much more comfortable with this girth. Rated 5 out of 5 by HOSELOVER from SUPER COMFY GIRTH!!!! I used a leather girth supposed to be anatomically correct and my chestnut had rubs on one part of his underbelly. I made the switch to this girth. I use a Dressage saddlepad by Success Equestrian which already keeps my saddle perfectly even and still, so this girth just made everything even better. No more rubs, marks, etc.. Easy to care for. Most importantly, my horse loves it!!! Thank You! Rated 2 out of 5 by Hoodie1 from Wanted to love it... This girth was exactly what I was looking for. Loved the natural fleece and how the girth felt. It will not work for a smaller horse. I purchased a size 22" and there is approximately 1 inch of excess "backing" and 1 inch excess fleece on each end. This turns a 22" into a 26". If the fleece backing only extended 1" on each side, it wouldn't have been so bad. The the excess material isn't needed in my opinion. As long as the end of the girth is backed with fleece, it should not rub. I thought maybe I received a girth with the wrong size fleece backing (size 24 backing for a size 22), but it's intended to fit like that (I talked to Prof. Choice). Their smallest size is a 20", but I don't think that would fit as well as a standard 22". Very bummed! !